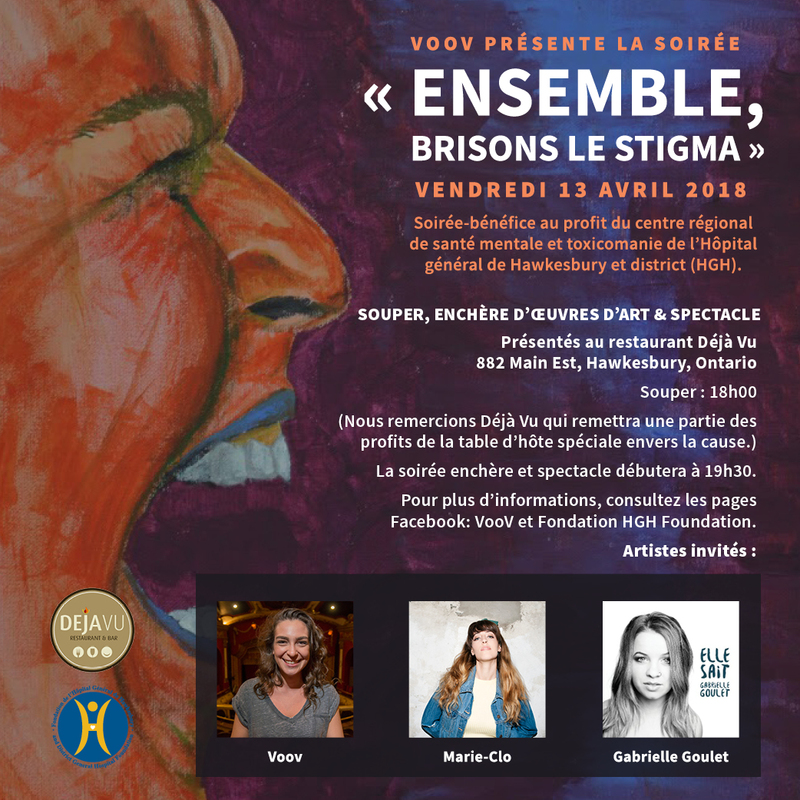 Break the stigma: A fundraiser benefiting the HGH Mental Health and Addiction Regional Centre. Presented by artist VooV in collaboration with Hawkesbury and District General Hospital Foundation. 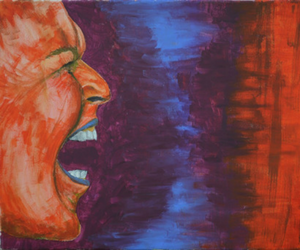 VooV is an emerging artist from Hawkesbury. Passionate about art, she paints from the soul. VooV is self-taught and continues to grow artistically with every piece she creates. VooV is involved in the community to break the stigma behind mental health and to improve the quality of the services offered. Joining VooV are singers Marie-Clo and Gabrielle Goulet. For more information, please visit the event’s page Break the stigma or consult Facebook pages: VooV, and HGH Foundation. Come break the stigma with us!